I do paint, but I don't draw too often. Years ago I did. 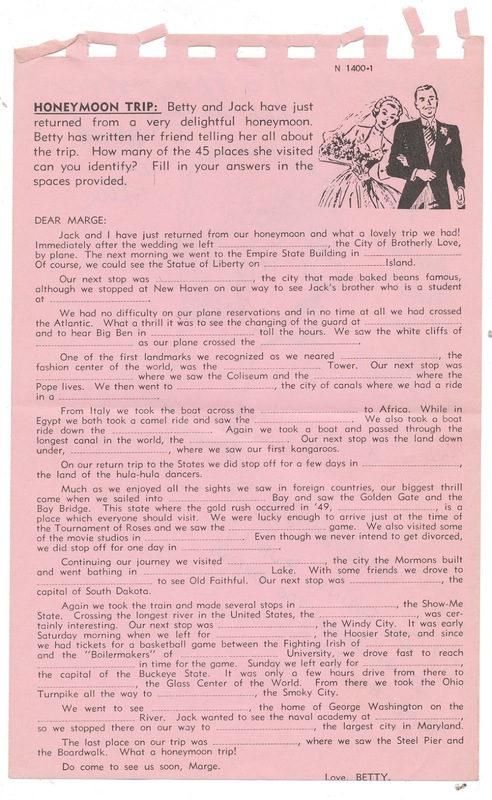 On the back is some kind of quiz about places visited during a honeymoon. 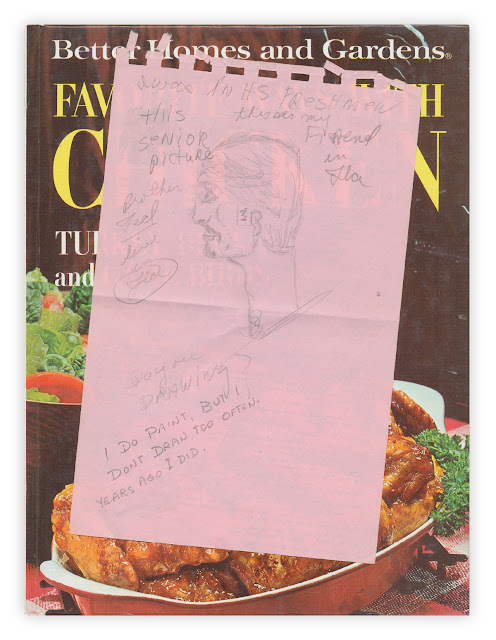 Found in "Favorite Ways With Chicken" published by Better Homes and Gardens, 1967. I had that cookbook! Maybe thy received it as wedding as a wedding present. The fill in the blanks might have been from bridal shower game. Your shares are fun way to start the day. Thank you.